Americans haven’t had a superstar chess player since Bobby Fischer, but now that might be changing. American chess players have been underperforming for the past several decades. Not since the eccentric Bobby Fischer of the 1970’s has there been an American chess player that the community could really rally around. Interest in chess on the national level spiked in America when Bobby Fischer won his famous match against Boris Spassky, but it has fallen off since then to reach what now feels like an all time low. However, the tide may be changing as new and promising American chess players start rising up the ranks. Of the top 10 chess players in the world, 3 of them are now Americans, which is a ratio that we haven’t seen in a very long time. Even in Bobby Fischer’s day, he was the only American player who managed to cross the threshold into the top 10. 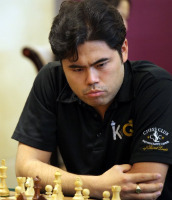 Those 3 players – Hikaru Nakamura, Fabiano Caruana, and Wesley So, are right on the precipice of America’s reentry as a superpower in the chess world. Nakamura, currently ranked as number 4 in the world, is encouraged by these numbers, saying, “American chess has never been in better shape. Fabiano Caruana, rank number 5, recently switched his FIDE nationality to play for the American team. He has Italian heritage, but was born and raised in the United States. It’s understandable why he would prefer to play for a European team, given America’s poor performance for the past several decades, but it’s also an encouraging sign that he felt America’s chess culture was heading in the right direction and decided to get on board! Wesley So, the 3rd most highly ranked player in the world, also recently switched to the American team, after having previously represented the Philippines. He moved to the US in 2015. This 20 year old player has caught the eye of several of chess’s strongest players already. He earned his Grandmaster title in 2010, at the age of 13, and has a standard strength rating of 2644. We are bound to hear more about this young star in the not too distant future! Sam Shankland is a 23 year old player who currently ranks in the top 100 and seems destined to shoot up the list even further in the coming years. He was part of the 2016 American team competing in the Chess Olympiad, along with Fabiano, So, Caruana, and Robson. Together, they secured the first Olympiad victory for America in 40 years! Despite its immense landmass, the United States has surprisingly few hubs for chess players. New York City acts as one, and now St. Louis is bursting onto the scene as another. But those cities are more than 950 miles apart, and there are countless chess players in the western and southern regions of the country that can’t travel to either of them. Businessman and entrepreneur Rex Sinquefield has done a great job transforming St. Louis into a chess friendly city by setting up and bankrolling the Sinquefield Cup that is now held there each year. The actions of one man have put St. Louis on the map as a chess friendly city, we only need that to start happening in more and more cities across the country. Children shouldn’t have to travel hundreds or thousands of miles just to have the opportunity to meet with a chess coach who is able to teach them something they don’t know. 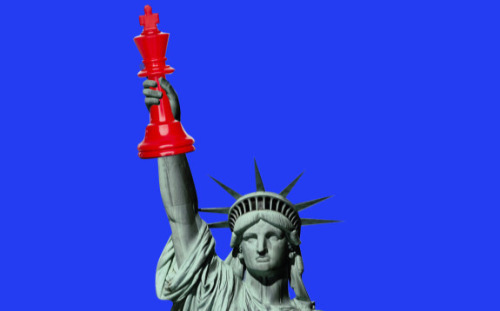 If we could have at least one chess friendly city present in each state, that would go a long way toward fostering more interest in chess and thus more strong American chess players. For most of the 20th century, chess was deemed the official national pastime of the Soviet Union, and for most of that time, Soviet players dominated the topmost levels of competitive chess. In the last decade, Armenia has shifted its focus toward chess, making it a mandatory part of each school’s curriculum, and, in the last decade, competitive chess has seen a marked increase in the number of very strong Armenian players rising through the ranks. Coincidence? Of course not. 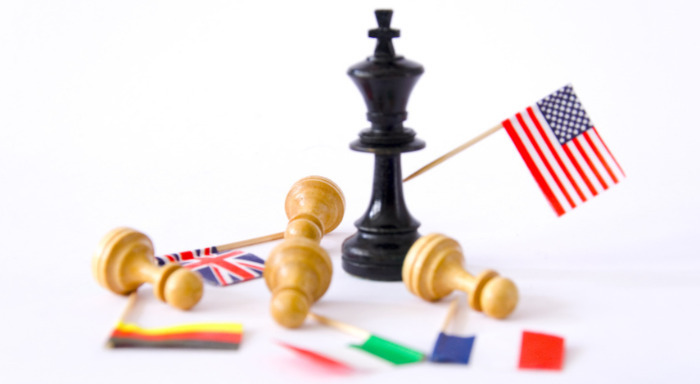 If a country is serious about becoming a player in the international chess scene, they have to dedicate the resources needed on a national level to facilitate that goal. After all, the more children who learn how to play chess, the greater the chance that one of them will really take a liking to it, work hard, and become the next world chess champion! And there’s nothing to lose either – if other kids aren’t interested in pursuing the game, they’ll have gained a basic understanding of one of the world’s most ancient and popular games, as well as a solid foundation for problem solving and critical thinking. Chess education can also be done economically. All that is needed are a few sets of chess boards and pieces, a knowledgeable teacher, and that’s it. There’s practically no downside! New and promising American chess players start rising up the ranks. Correcting these problems would go a long way toward making America a breeding ground for strong chess players. There’s really no question as to whether or not these things would work – they’ve worked for almost every country that has instituted them. The question is whether or not anyone would be willing to funnel the necessary resources into this project. Essentially, do the decision makers actually want to become more competitive in chess, or are they content to leave things how they are? It’s a bit of a catch-22 situation, because without popular interest in chess at a national level, no one will be pushing for the changes the result in American chess superstar players. However, at the same time, without superstar American chess players, public interest in chess is not likely to increase at any prodigious rate any time soon. So, it’s a tricky situation. For now, the role of popularizing chess must fall to private citizens and philanthropists like Rex Sinquefield, since the government is not likely to act proactively without overwhelming public support. Luckily, private citizens can make a huge impact, as Sinquefield has shown. He single handedly turned St. Louis from a sleepy midwestern city to a national hub of chess activity. If we could have a few more interested millionaires make it their life’s mission to further the state of American chess, we could have chess cities popping up all over the country. And the more cities that take an interest in chess, the more people become interested in the game, and the cycle of growth repeats itself again and again, until we’re ready to put forth a national initiative on the government level. All it takes is one passionate person to start this domino effect, and that person could be you!